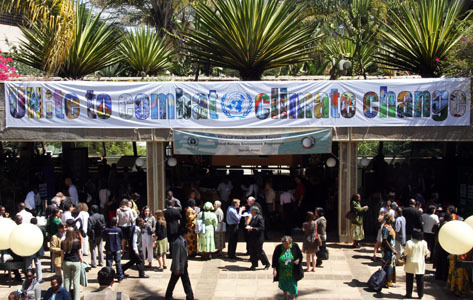 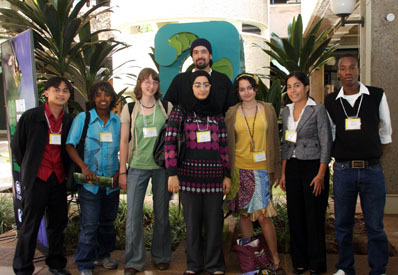 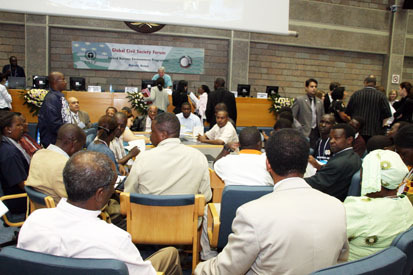 The 10th Global Civil Society Forum (GCSF-10), took place from 14-15 February 2009 in Nairobi, Kenya prior to the 25th UNEP Governing Council /Global Ministerial Environment Forum scheduled. The aim of the GCSF is to provide a platform for exchange and consultation on key environmental issues to be addressed by the Member States during UNEP’s GC/GMEF, and to facilitate Major Groups’ contribution to the GC/GMEF and other international environmental fora. 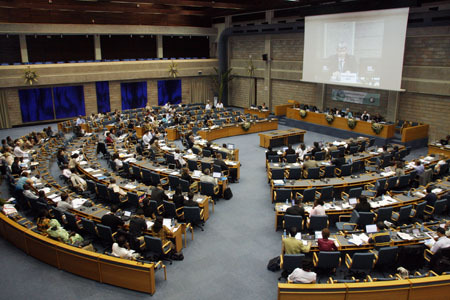 Issues on the agenda include globalization and the environment, and the chemical a agenda relating to mercury. 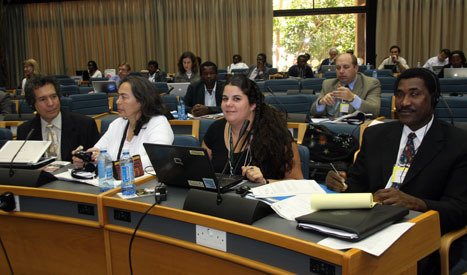 Above photo: Festive atmosphere abound the GCSF-10 session at UNEP headquarters. Bird's eye view of the GCSF-10 plenary session. 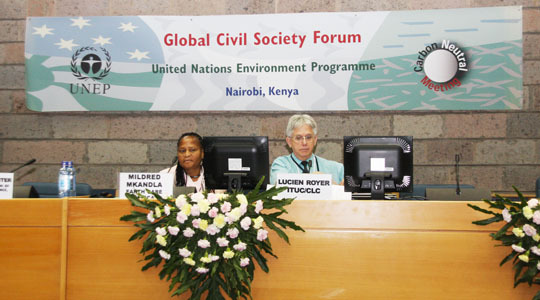 GCFS-10 was Chaired by Lucien Royer with Mildred Mkandla as Vice-Chair. Participants in informal consultations. 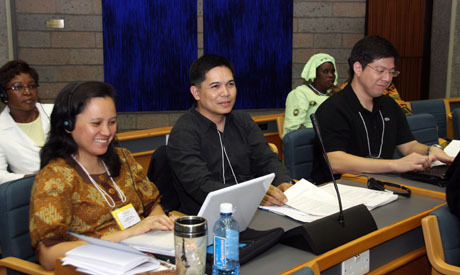 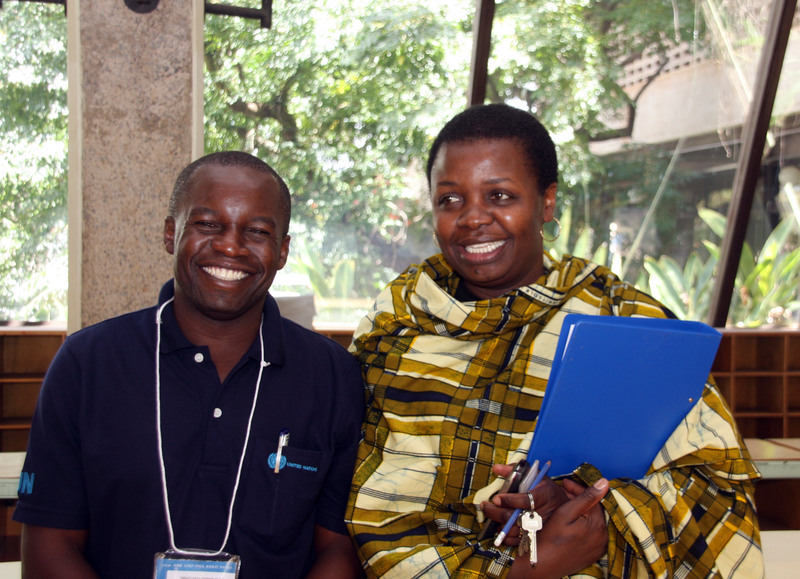 Participants from Tunza. 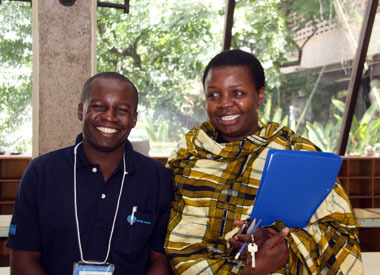 UNON staff with a ready smile. 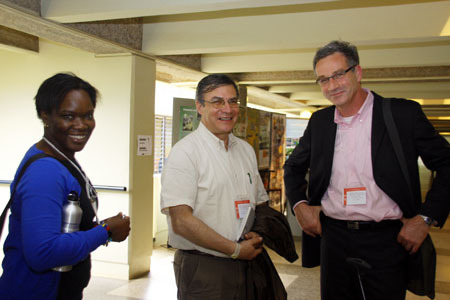 L-R: ABS Co-Chairs Fernando Casas and Tim Hodges in conversation with ENB writer Asheline Appleton.